Shop the products most shoppers are purchasing. 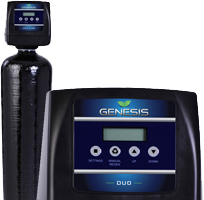 Our line of high efficiency and high flow rate Genesis whole house water softeners utilize innovative upflow technology, which provides unmatched performance and savings that no other standard downflow water softener can beat. "I finally installed the reverse osmosis system today. What a difference! Our water tastes just like the bottled water we buy. It looks like a nice solid system too You guys are great. I already told my neighbor about you guys. I think he will be calling you." "I did a lot or research looking for a replacement softener. I was very intrigued by the efficiency of the Genesis model and features. Installation was very easy and the manual was extremely easy to follow of install and set-up...the quick connect hoses were a definite value. I was also very impressed with the fact that the sales staff was not trying to "up-sell" when i called trying to select to right product for my home. The unit has been running for 1 month and I am very satisfied!!! " "Wow, talk about fast delivery! I ordered this softener yesterday and here it is noon today and it's sitting down in my basement. I went to your site & there were the installation instructions. This has been a very pleasant experience. 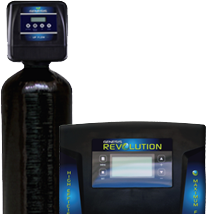 Regards,"
"This is the best water filtration/softener I've had. I tried a salt free system from a competitor and it did not work. I live in Boulder, CO area and the water here is very hard. My wife had eczema and with the Genesis water softener she no longer has it. Softest and cleanest water ever." Our expert team hand picked the best products to improve your water quality. We carry a large selection of iron, manganese, hydrogen sulfide filtration systems. Choose from basic iron filters all the way up to whole home chlorination. Coming soon. Genesis Ozone systems! Remove chlorine and chloramines from your water and improve the overall taste and odor of all the water in your home. 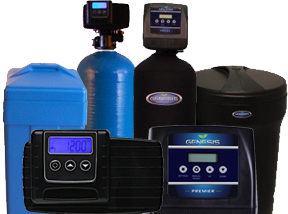 Our reverse osmosis systems provide a safe and clean purified water source right from your home. Replace your resin today and save money on performance tomorrow. Most resins last 12-15 years. Our full line of inline filtration allows you to filter your whole home with one simple housing.